Greece is situated in Southern Europe, on the Balkan peninsula. The best thing about this country is that it lies on the Aegean, Ionian, and Mediterranean seas. Greece attracts many tourists throughout the whole year with its rich, ancient culture which can be seen in many forms. Arts, language, philosophy, politics and even comedy and drama. It has been regarded as the world’s top 20 tourist destinations due to its amazing beach resorts, great, sunny weather, rich nightlife, historical and archaeological sites as well as picturesque landscapes. 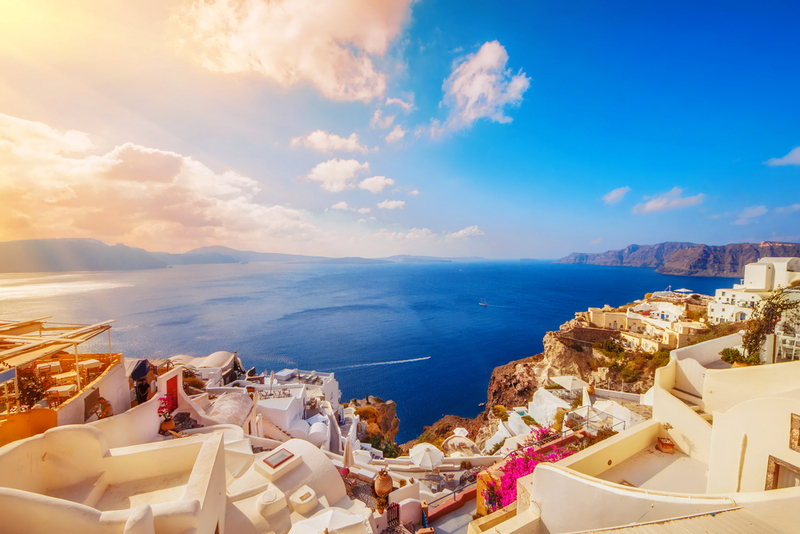 The easiest and the cheapest way to reach Greece is by plane. There are regular, direct flights from the UK to many destinations across Greece. If you are travelling from the US, Australia, New Zealand or South Africa, the cheapest solution would be to get to London, or other European cities such as Amsterdam, or Frankfurt and fly from there. Flight tickets are the most expensive during high seasons such as July, August and Easter holidays. During winter time, the ticket bargaining is also rare. However, May, June and September are still warm months, so you can still visit Greece if you are up for a cheaper holiday. 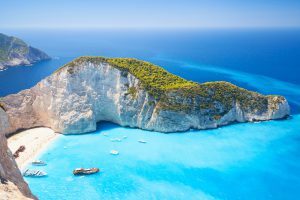 EasyJet offers direct flights from Gatwick, Manchester, and Edinburgh to Athens, Greece however, you will need to book in advance if you want lower prices. From Heathrow airport in London, you can fly to Athens via British Airways or Aegean Air. Aer Lingus company has direct flights from Dublin from April to September. There are regional flights that operate during the summer only, from May to September. 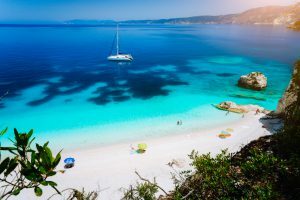 Such routes are from Gatwick to Thessaloniki via British Airways, from Gatwick to Thessaloniki, Corfu, Hania (Crete), Iraklion (Crete), Kos, Zakynthos via EasyJet airways. There are also direct flights from New York, USA via Delta airways or from JFK via Hellenic Imperial. 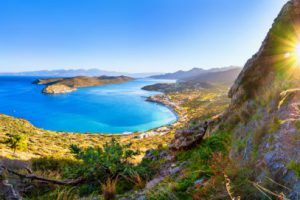 Why Choose a Holiday in Greece? You might be wondering what pushes millions of visitors to explore this country on the Balkan peninsula. 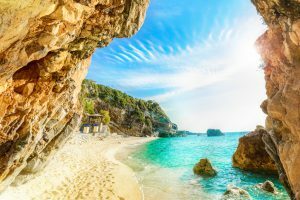 When thinking about Greece, people usually get a feel of the long, sandy beaches with crystal, clear blues waters and beach taverns which offer tranquillity and fantastic sea views. Greece is known for the ideal, warm climate and what’s even more interesting: almost 300 days in the year are sunny. 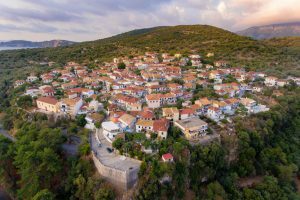 The country charms many tourists with its green landscapes, a marvellous colour of the sea, Greek authenticity, and rich culture. Another important thing is that Greece is quite a safe country with a low level of criminal, especially on the islands. It’s a perfect place to walk freely around the streets and explore the numerous attractions. The locals are very friendly and kind, so you can easily make friends and have chats with them during your holiday. They will also help you out with street directions, or would gladly recommend you places to eat, visit and see. 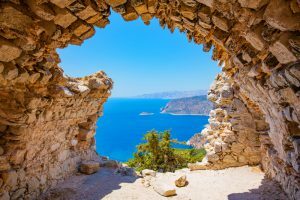 Almost every place in Greece is featured with some historical and archaeological sites of various periods, from ancient Greek temples to Byzantine monasteries and so on. Let’s not forget the nightlife. 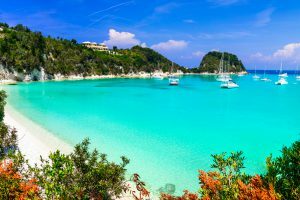 For all young people, or those young at heart who want a lively nightlife, Zakynthos, Crete, Corfu, Kefalonia, Lefkada are just some of the places that offer parties until the early morning. Greece will guarantee you a holiday for a lifetime.